When have been actively involved in aquaponics for the last two years and it has been an on-going learning process. We have had to do a lot of research, but as with anything we make mistakes. 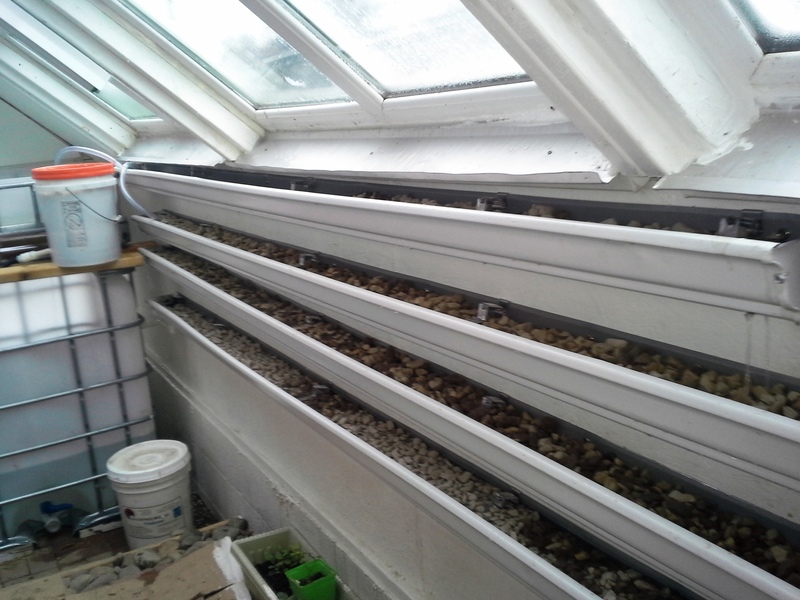 Our most recent was after adding the next phase to our aquaponics system in the greenhouse-a constant height bed setup, I found that it is always important to insure that no debris is in the system to clog standing drain pipe. 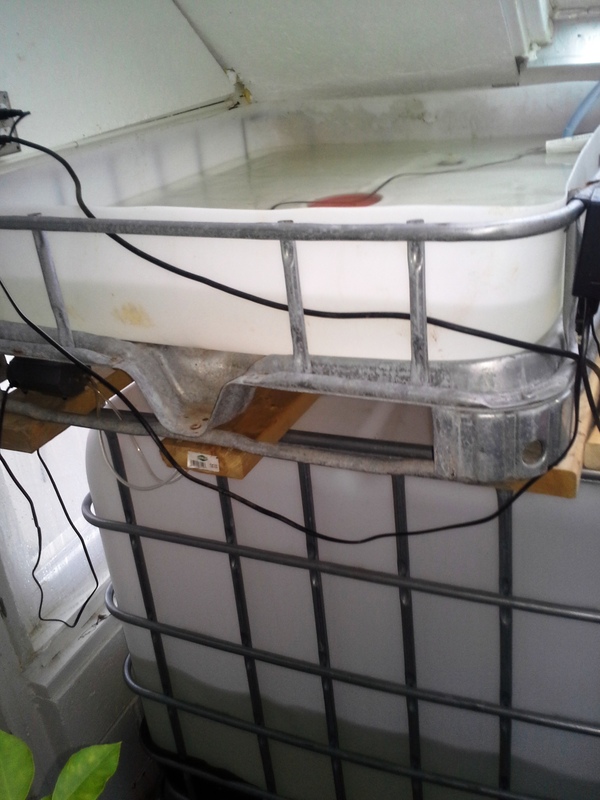 Constant height aquaponics tank set up in shady corner of greenhouse. After the first few nights of running without issue, I woke up last Friday to an empty 200 gallon fish tank! A small piece of paper had covered the drain pipe in the bed and caused the bed to fill and overflow onto the floor. To add insult to injury, my 3-stage filter auto clean drain slipped out and allowed the remainder of the bed to drain onto floor. When I saw the empty tank, I immediately shut down pumps, heater, and bubbler until I could determine issue Fortunately we were still “cycling” water to get ready for fish (building appropriate, ph, ammonia, and bacteria levels), so no fish homicide occurred. With issues corrected, I re-filled tank, checked equipment to insure no damage had occurred from running with no water and restarted system. All done, lesson learned, need to install safety overflow valve to recycle water back to tank if this ever occurs again. Will work on that at a later date. Well, when repairing and restarting equipment, should always re-check all connections and hose fittings! Woke up Saturday Morning to another empty tank! hose feeding the gutter garden was installed back in the gutter. Gutter garden pump only turns on twice a day for 30 minutes, but thirty minutes was all it took to empty a 200 galllon tank…….again! Easy correction but throws us further behind on getting fish into system. Hopefully, I have learned my lessons well and will not repeat these errors!